Digital driller™ is a compact and flexible solution to safely train operators or maintenance teams on our DD422i, DD422iE and DT922i drills. Thanks to its compact and small size, its transportation case equipped with wheels, the simulator can easily be carried by a single person to the customer site. Training sessions can be conducted for multiple participants in a safe environment, keeping everyone away from any injury risks or material damages. Operators learn with a realistic simulator optimizing the transition to the real machine. It acts like a real rig, operates with authentic controls combined with the same control system software as the one installed on the machines. The simulator can be carried out very easily with a transportation case equipped with wheels. The total weight including all accessories is around 50 kgs. The team training can start before commissioning, even before the rig arrives on site ensuring optimal operation performances from the 1st day. Tailor made training sessions can be built to fit with the audience level using a wide range of exercises, various mine conditions and situations. The trainee performance evaluation report is a solid foundation to ensure the operator can get the full advantage of the rig features. Operators are taking their 1st steps with the rig in a safe environment and exercises can be repeated until the appropriate level of knowledge is reached. There is no risk of equipment damage, no rock tools or fuel consumed when training the team. 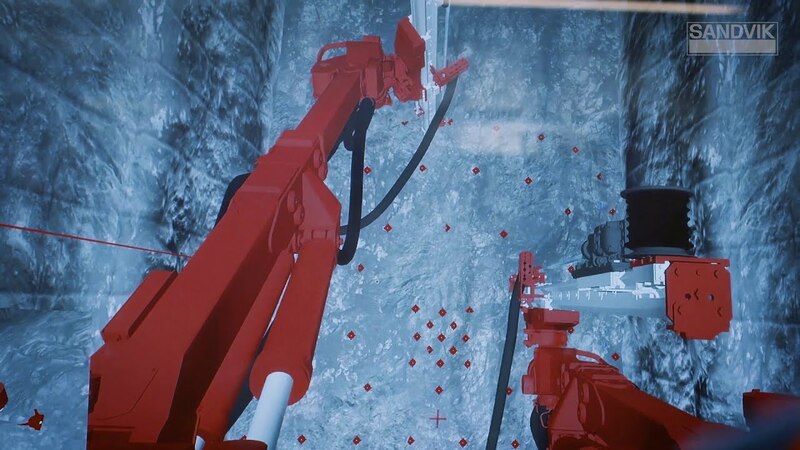 Regular operators retraining, and assessment process can be secured and optimized using the training simulator without impacting the mine productivity.